2015 Volkswagen Polo GTI - Pricing, engines and specs | What Car? The Volkswagen Polo GTI is on sale now, priced from £18,850 to £20,725. 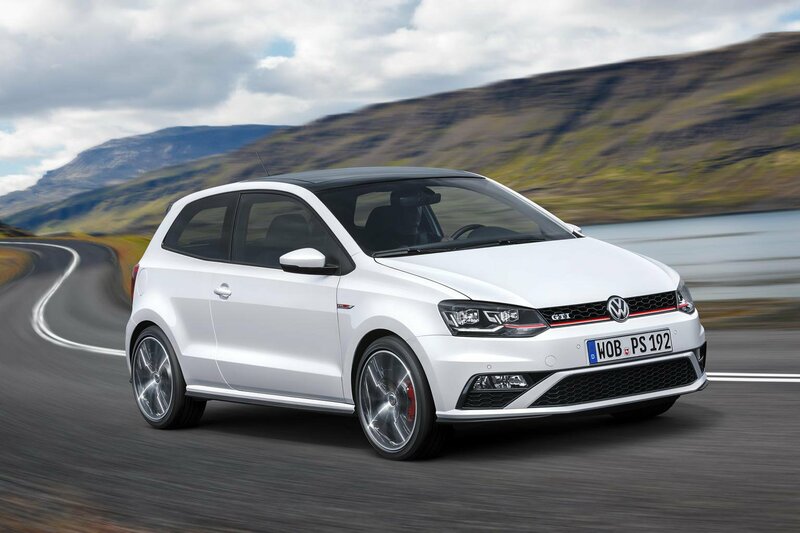 The new fourth-generation Polo GTI. It doesn’t look dramatically different from the previous version, with just minor alterations to the lights and bumpers, but there are a host of upgrades under the skin. VW has broken away from the recent trend of fitting smaller engines, opting to replace the previous GTI’s 1.4-litre turbo engine with a 1.8-litre TSI petrol. The larger capacity brings a small increase in power, from 177bhp to 189bhp, while torque is 236lb ft. This shaves 0.2 seconds off the old car’s acceleration, meaning 0-62mph takes 6.7 seconds, with a top speed of 147mph. The previous generation GTI came with a dual-clutch auto gearbox, but VW has announced it will now offer a six-speed manual as standard or a seven-speed DSG auto 'box as an option. Options include sports suspension with adjustable dampers and LED headlights. The Polo GTI also features two driving modes, allowing owners to select between comfort or sport modes. The three-door version with the six-speed manual gearbox is priced from £18,850 and the same gearbox with five-doors costs £19,480. The seven-speed DSG gearbox costs £20,095 with three doors, and £20,725 with five-doors. While discounts are available on other Polos in the range, reductions on the GTI are harder to come by.